Posted on Jun 2, 2015 by Appleton Downtown Inc.
Get ready, Appleton! 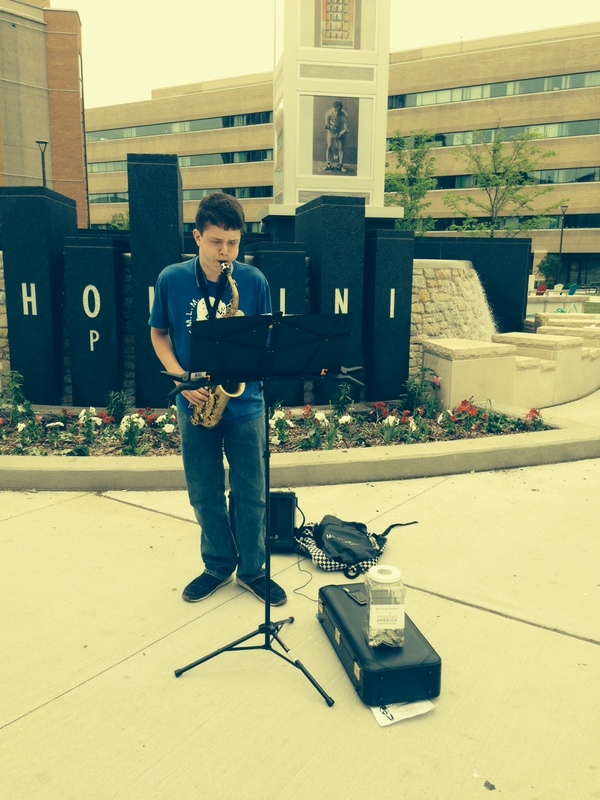 Street Music is back on College Avenue starting on Monday, June 8. After joining sister-city, Spokane, Wash., in 2013, music lovers and performers alike will again enjoy this dynamic event all next week. 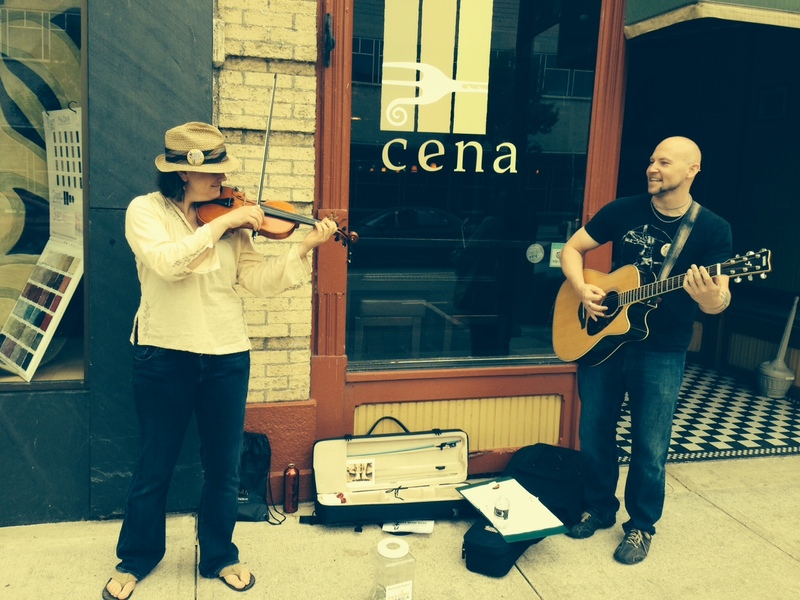 The sidewalks of downtown will fill with noon-hour music and entertainment in celebration of the event, June 8-12, 2015. What’s more – the event’s sole purpose is to raise money for Feeding America Eastern Wisconsin and to celebrate performers of all kinds. “Street Music Week is for a variety of performers and all talent levels, including musicians, dancers, artists and entertainers. The musicians and performers generosity is unparalleled,” says Audrey Hendrickson, drummer and sales associate at Heid Music in Appleton. What makes this event special is its simplicity. Performers simply show up [to Heid Music, 308 E. College Ave.], take a collection bucket and find a spot to perform. After one hour of performing, they return the bucket along with donations. All proceeds benefit Feeding America. 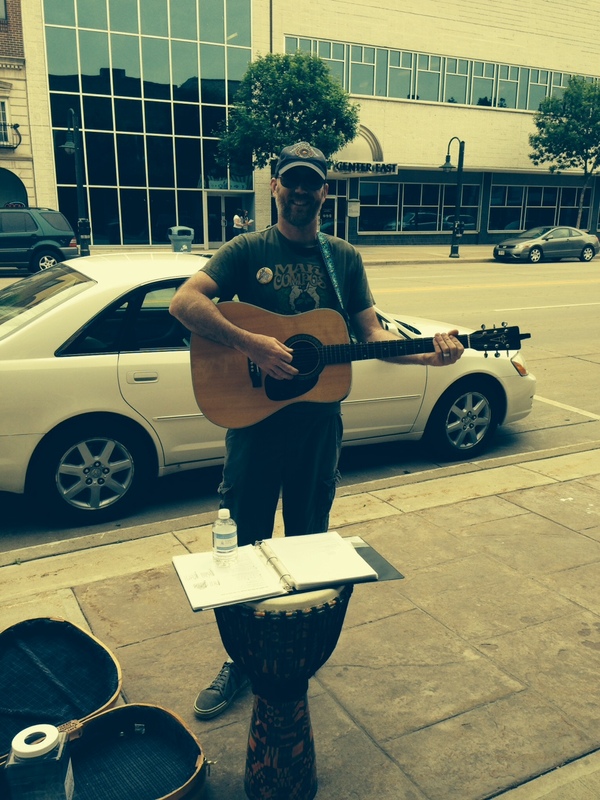 The goal, too, is simple: To have a musician on every street corner of downtown Appleton’s College Ave. over the noon hour, collecting donations for Feeding America NE Wisconsin. The event encourages participation from beginners to professionals and doesn’t discriminate based on instrument, experience or lack of either. Participants have ranged from local celebrities, including Janet Planet, student musicians, Heid Music teachers & employees and hobbyists. "We're excited that Feeding America Eastern Wisconsin will continue to benefit from Street Music Week. Providing food to our hungry neighbors is a collaborative effort and that’s what Street Music Week is all about, performers and musicians and public support coming together to make a difference,” said Patti Habeck, Regional Manager for Feeding America Eastern Wisconsin.